Verona, VA: McClure Press. Stated First Printing. SIGNED TWICE by the author on the title page with one in a slightly shaken hand. According to a laid in letter from the Old New York Book Shop (publisher of the 1988 edition of The Boo), this book was signed a second time by Conroy after he was diagnosed with writer's cramp, at Fripp Island, SC, on June 19, 1999. Conroy's first book, reflecting his experiences as a graduate of The Citadel military academy. This book is square and tight. The boards, spine, endpages and gilt/lettering are pristine. The pages are clean, having no markings or folds. The dustjacket is bright with mild rubbing, and light edge wear. There is a one inch tear at top joint. The original price is present but crossed out in blue ink. There is a faint circular stain, two inches in diameter, on the front wrapper. With illustrations and cartoon drawings. This copy was obtained from a nationally known aution house. . Fine. 1970. First Edition. McClure, 1970 First Edition, First Printing. This copy is authentically SIGNED BY PAT CONROY. This ORIGINAL First Issue dustjacket is vibrant in color with minor wear to the edges. The book is in excellent condition. The binding is tight, with NO cocking or leaning and the boards are crisp with minor wear to the edges. The pages are clean with NO writing, marks or bookplates in the book. A beautiful copy of this TRUE FIRST EDITION SIGNED BY THE AUTHOR. We buy Pat Conroy First Editions.. Signed by Author(s). 1st Edition. Hardcover. Fine/Fine. Verona, VA: McClure Press. Fine in Very Good+ dust jacket. 1970. First Edition; First Printing. Hardcover. Blue cloth, white titling. Stated first printing. Fine copy in near fine jacket in mylar, with price of $4.50 at flap. Jacket has some foxing and small abrasion on front panel, and very minor edgewear. Housed in a fine custom clamshell case. ; 8vo 8" - 9" tall . Verona, VA: McClure Press. VG/VG. 1970. First Edition. Hardcover; First Printing. True first edition from McClure Press. Mild wear in like DJ. Inscribed by the Boo "to Rick who needed two days leave when his family crash landed Nov '67 with best regards The Boo" ; 174 pages; Signed by Biographee . Verona, VA: McClure Press, 1970. First Edition. Hardcover. Very Good. First edition, first printing. Publisher's blue cloth stamped in white. Fine, in a Very Good or better dust jacket with publisher's price of $4.50 intact, light rubbing, light edge wear with a short tear to the top of the front panel, and several faint water stains to the spine. A rather presentable copy of Conroy's first published work. Atlanta: Old New York Book Shop Press, 1988. Hardcover. Fine. First edition thus, with a new introduction by the author. Cloth and marbled paper over boards in cloth slipcase. Fine. One of 20 lettered copies Signed by Pat Conroy, Lt. Col. Nugent Courvoisie ("The Boo"), and Lt.Col. Donald Conroy, the author's father and the model for "The Great Santini," and with a page of the manuscript of the new introduction tipped-in. The author's first book, the original edition was published in 1970. This issue is rare. According to the publisher, despite the printed limitation, only about 15 were produced. Atlanta: Old New York Book Shop Press, 1988. Hardcover. Fine. First edition thus, with a new introduction by the author. Cloth and marbled paper over boards in cloth slipcase. Fine. One of 20 lettered copies Signed by Pat Conroy, Lt. Col. Nugent Courvoisie ("The Boo"), and Lt.Col. Donald Conroy, the author's father and the model for "The Great Santini," and with a page of the manuscript of the new introduction tipped-in. According to the publisher, despite the stated limitation, only about 15 were produced. The author's first book, the original edition was published in 1970. This issue is rare. Although not marked in any way, this copy is from the distinguished modern first edition collection of Bruce Kahn. Pinnacle Books (Mm), 1981-06-01. Paperback. Used:Good. Verona, VA: Mcclure Press. Near Fine in Very Good+ dust jacket. 1970. First Edition; First Printing. Hardcover. First printing of Conroy first book, a biography of Lt. Col. Nugent Courvoisie, assistant commandant of cadets at The Citadel from 1961 to 1968. Dust jacket is lightly foxed with a several closed tears, archivally repaired and a small abrasion on the front flap affecting a few words of the blurb. .
Verona, VA: McClue Press, 1970. First Edition. Hardcover. Very Good. First Edition, First Printing. In a second state dust jacket with price of $6.50 intact. In Very Good condition. Clean text, though a few page corners are creased. Previous owner details to front paste down, foxing to endpapers and side edge of page block. Cloth shows soiling, and an area of discoloration to rear board. The dust jacket shows light overall wear, including a small scuff to the rear panel and a bit of crimping at the spine. Fewer than 2,000 copies were originally printing. Atlanta: Old New York Book Shop Press. Fine with no dust jacket. 1988. First Edition. Hardcover. Quarterbound blue cloth spine over decorated boards. Limited edition #170 of 250 signed by Conroy, Lt. Colonel Nugent Courvoisie "The Boo", and Col. Donald Conroy "The Great Santini" to the limitation page. Small bump to bottom board edge else fine in publisher's fine slipcase. ; 8vo 8" - 9" tall; Signed by Author . Old New York Book Shop Pr. Hardcover. 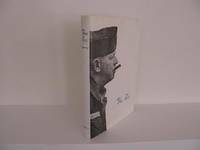 0937036021 1996 Old New York Book Shop Press reprint hardcover with dust jacket in protective wrapper. Has "Autographed" sticker on front of dust jacket. INSCRIBED on the front free end paper by The Boo : "Where Adam played as a boy The Boo" and SIGNED by Pat Conroy on the Title page. Book is Near Fine, as is jacket except for sticker. Professionally packaged. Promptly shipped. Insured at no additional charge. ABAA Member. . Very Good. Verona, VA: McClure Press, 1970. First Edition, First Printing. Hardcover. Endpapers and page edges mildly spotted, otherwise near fine in original blue cloth and very good pictorial dust jacket, lightly soiled with mild chipping to the corners and spinal extremities.. Octavo. 16 x 23.5 cm. [x]; 174 pp. With occasional black-and-white reproductions of photographs. Conroy's first book. Verona, Virginia: McClure Press, 1976. Cloth. Collectible; Fine/Very Good. INBSCRIBED BY "THE BOO" (LT. COLONEL NUGENT COURVOISIE) on the front free endpaper. A sharp copy to boot of the 1976 stated 3rd printing. Clean and Near Fine in a bright, price-clipped, VG+ dustjacket, with 2 very small closed tears at the panel edges. Octavo, 174 pgs. NY: TOR/Pinnacle Books, (1981).. Uncorrected proof.. 258 pp. Near fine in printed wrappers (lightly soiled) with a staple to front wrap. Proof copy of the reissue of Conroy's first book, originally published in 1970. Contains a new introduction by Conroy. 1970-07-03. New. Ships with Tracking Number! INTERNATIONAL WORLDWIDE Shipping available. Buy with confidence, excellent customer service! Verona, VA: McClure Press, 1970. First Edition. First Edition. The author's first book. Very Good plus in a Very Good plus dust jacket. Owner name to the front endpaper. Slight lean, with minor bumping to the corners, and faint foxing to the rear board. Jacket is lightly soiled, with a short diagonal crease to the rear flap, and light nicking to the extremities. New York: Tor / Pinnacle Books, Inc, 1981. Advance Uncorrected Proof / First, Thus. Paperback. Softcover. Near fine in original lettered white wrappers, two tiny staple holes on front panel.. Octavo. 5.5 x 8.5 in. 257 pp. Proof Copy of paperback reissue of author's first book contains nine page new introduction. Very scarce. Condition: Softcover. Near fine in original lettered white wrappers, two tiny staple holes on front panel. Atlanta: Old New York Book Shop Press. Fine in Fine dust jacket. 1996. Signed by Author. Hardcover. 0937036021 . One of 500 copies of the signed anniversary edition in Fine condition, signed by author Pat Conroy with added "The Boo" on tipped-in page; "In 1961, Lt. Colonel Nugent Courvoisie accepted the job as assistant commandant of cadets at The Citadel, the military college of South Carolina. During the next seven years, The Boo, as the cadets called him, was in charge of meting out punishment to those young men accused of breaking Citadel law". (From the dust jacket). Pat Conroy is a 1967 graduate of The Citadel . Verona VA: McClure Press, 1970. Third Printing of Author's first book. Ex-Lib, with all the Usual Suspects, with the additional note on the Card Pocket on RFEP "This copy does _not_ circulate! Thanks." It is therefore in somewhat better condition than the garden-variety Ex-Lib. Turquoise cloth over boards with white titling on spine. Solid & sound with mild reading soil to fore-edge & very occasionally within book. DJ under protective mylar shows wrinkles and perhaps transfer of written letters--photos cheerfully provided.. Hard Cover. Good/Good. 8vo - over 7¾" - 9¾" tall. Used. 2012-05-06. Good. Ships with Tracking Number! INTERNATIONAL WORLDWIDE Shipping available. May not contain Access Codes or Supplements. May be ex-library. Shipping & Handling by region. Buy with confidence, excellent customer service! Atlanta:: Old New York Book Shop Press,. VG/VG. 1996. Hardcover. 0937036021 . Hardbound 1996 reprint signed by Conroy on title page and by The Boo on front free endpaper (no inscriptions) . Blue cloth covers very clean, bright; pages tight, white, unmarked. Light, minor DJ wear at edges, with indentations (no tears) . "Autographed Copy" label on front cover. A quite nice copy. ; . Verona, Virginia: McClure Press, (1976), 1976. Hardcover. Fine/Near Fine. 8vo. 174 pages. Illustrated. Dust jacket protected in a mylar sleeve. Stated Third Printing, 1976. Dust jacket is clean and fresh, two small 1/4" closed tears, not price clipped. Book is in excellent condition, no former owner's names or marks of any kind. A handsome, gift quality copy of the scarce third printing. 1987-07-06. Good. Ships with Tracking Number! INTERNATIONAL WORLDWIDE Shipping available. May not contain Access Codes or Supplements. May be ex-library. Shipping & Handling by region. Buy with confidence, excellent customer service! Tom Doherty Assoc Llc. PAPERBACK. 0812581601 Like New Condition. . Fine. Tom Doherty Assoc Llc. PAPERBACK. 0812581601 New Condition. . New. Amereon Ltd, 1976-06-01. Hardcover. Good. 1970-07-03. Good. Ships with Tracking Number! INTERNATIONAL WORLDWIDE Shipping available. May not contain Access Codes or Supplements. May be ex-library. Shipping & Handling by region. Buy with confidence, excellent customer service! Mockingbird Books, 1993-08-01. Paperback. Used:Good. Virginia: McClure Press. Hardcover. 3rd Printing (1976)- McClure Press. Dust jacket is wrapped in a clear protective mylar sleeve. Clean, has a good binding, small personal sticker is attached inside to the front free end paper, no marks or notations. Pat Conroy's first book chronicles his time as a Citadel cadet. Ships from our bookstore in West Columbia, S.C. . Very Good. 1970. Third Printing. US: Old New York Book Shop Pr, 2005. Hardcover. Fine/Fine. 9.3 x 6.2 x 0.9 inches. By author. Signed by author. Pages are clean, no markings from previous owners. Boards are clean and square. Binding is tight. Text block is clean. DJ is clean, bright and unmarked. McClure, 1976. dw slightly soiled and some wrinkling. 3rd Printing. Hardback. Near Fine/Vg. Hardcover. Atlanta, GA: Old New York Bookshop Press, 2002. This edition has the different dw which shows both the Boo and Pat Conroy on the Cover. Signed by Author. First Thus. Hardback. As New/As New. Hardcover. Atlanta, GA: Old New York Book Shop, 2005. Reprint. Hardcover. Very fine in very fine unclipped pictorial dust-jacket.. A Novel. Reprint. Hardcover. Signed by Conroy on the title-page. One of a number of reprints of Conroy's first book, which was published privately by Conroy in 1970. The old New York Book Shop has reprinted his earliest work, which had become unaffordable rare after the author's fame grew. This issue has a jacket with a picture of Conroy and his father, which became the core of much of his later fiction. 8vo blue boards. Condition: Very fine in very fine unclipped pictorial dust-jacket. Tom Doherty Assoc Llc, 1987-12-01. Paperback. Used:Good. Old New York Book Shop Pr. Hardcover. 0937036021 New Condition. . New. Old New York Book Shop Pr. Hardcover. 0937036021 Like New Condition. . Fine. Mockingbird Books. PAPERBACK. 0891760415 New Condition. . New. Mockingbird Books. PAPERBACK. 0891760415 Like New Condition. . Fine. Old New York Book Shop Pr, 1970-06-01. Hardcover. Used:Good. 1981-07-02. Good. Ships with Tracking Number! INTERNATIONAL WORLDWIDE Shipping available. May not contain Access Codes or Supplements. May be ex-library. Shipping & Handling by region. Buy with confidence, excellent customer service! Verona, VA: McClure Press, 1970. First Printing. Hardcover. Fair/Very Good. Illustrated. First Printing. Fair copy in a very good condition dust jacket. Publisher's cloth. Illustrated. Hinges broken. Ex-library. Last free end paper gone. Stain at one corner of text black affecting 50 pages. Taped inner front hinge. Fair only. Full refund if not satisfied. Old New York Book Shop Press, 2002. Fine in fine dust jacket with signed copy emblem, in mylar. Inscribed "With Best Regards of the Boo." Condition: Fine in fine dust jacket with signed copy emblem, in mylar. Atlanta: Old New York Book Shop Press. Near Fine/Near Fine. 2005. First Thus. Hardcover. 8vo 174 pages. SIGNED by Conroy on the title page. .
Tom Doherty Assoc Llc, 1987-12. Paperback. Good. Atlanta, Georgia, U.S.A.: Old New York Book Shop Pr, 1996. 174pp/illus. A 1996 reprint, this is first book written by Pat Conroy. The Boo is a biography of an Assistant Commandant of The Citadel when Conroy was enrolled at the South Carolina military college. "The Boo" Lt. Colonel Nugent Courvoisie, who was in charge of meting out punishment to those young men accused of breaking the Citadel law. Gift inscription inside front cover.. Cloth. Near Fine/Near Fine. 8vo - over 7¾" - 9¾" tall.